Oily skin: 50% (max 70%) of castor oil + 30-50% of base oil. Base oils are adjusted to different skin types. 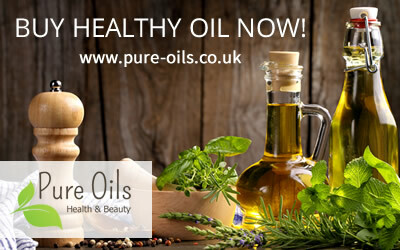 It is essential for the oils to be cold pressed, unrefined and acquired using totally natural methods. borage oil, almond oil, apricot kernels oil, wheat germ oil, coconut oil, argan oil, avocado oil, jojoba oil, thistle oil, grape, strawberry and raspberry seed oil, tamanu oil. Coconut oil, borage oil, argan oil, strawberry and raspberry seed oil, tamanu oil and jojoba oil. Wheat germ oil, borage oil, argan oil, avocado oil, jojoba oil, almond oil as well as grape, strawberry, raspberry and cranberry seed oil. The prepared oil mixture should be kept refrigerated and in a dark glass bottle. Proportions do not have to be perfectly maintained. We recommend conducting experiments to check which of the oils would have the most desired effects on the skin. 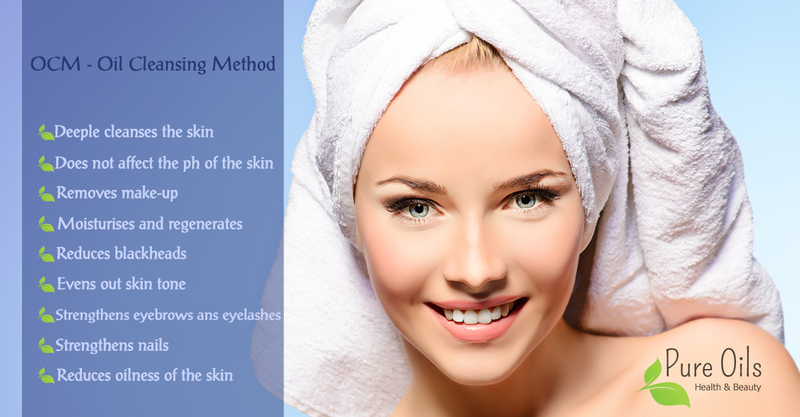 This method is not harmful for the skin whatsoever and can be used even twice a day. Apply the earlier prepared and appropriate for our skin type oil mixture on an uncleansed face. We can slightly heat it up in a hot water bath before that. Massage the skin in a circular motion for at least one minute. Soak a cloth (preferably a microfiber cloth) in the warm water and put into the face to open the pores. To improve the process, we may use e.g. a slightly chilled lavender infusion. When the cloth cools down, gently clean the oils from the face with it and then rinse it in warm water. We repeat the process from point 1 to 4. We may repeat it several times or stop after two processes.